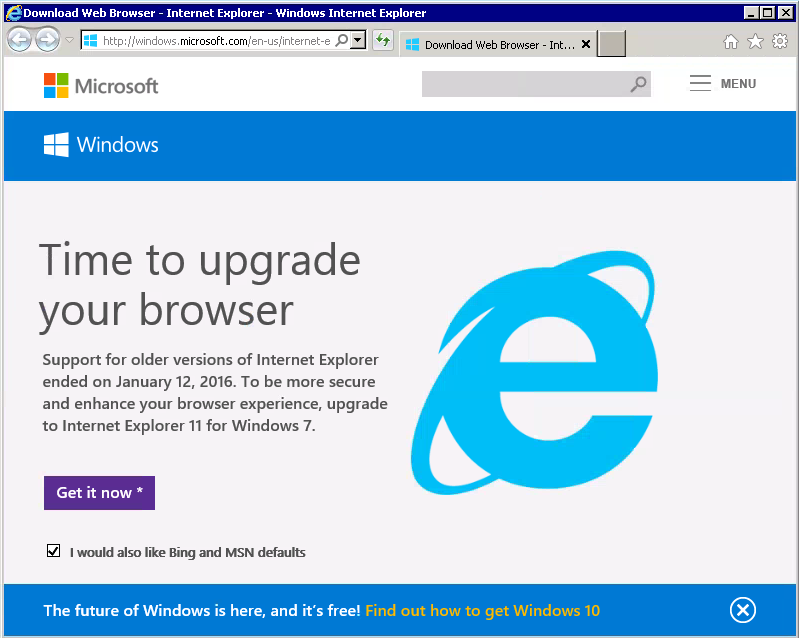 How to prevent Internet Explorer “End of Life” upgrade notification tabs. 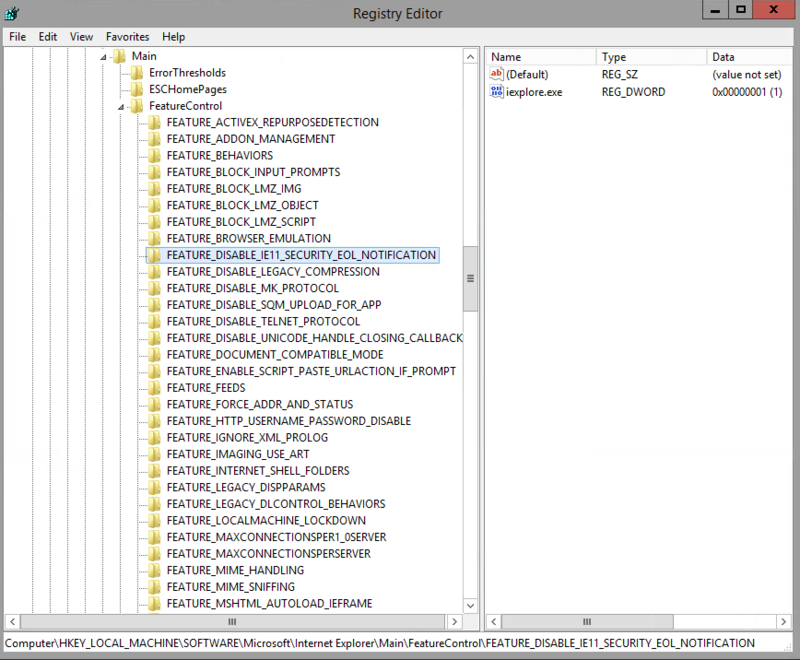 A lot of corporations still require older IE versions for some web based applications to work correctly so this registry key below will be required to prevent new tabs from automatically opening every 72 hours. January 12 Microsoft will go End of Support on IE8, IE9 and IE10. An update for IE8/IE9/IE10 on Windows 7 SP1 and Windows Server 2008 R2 will include a new “end of support” notification feature. The update will automatically open a new tab every 72 hours with the appropriate Internet Explorer download page for your OS. Most Admins know how to create a GPO with GPP Registry settings, but figured I would quickly document it for anyone that might not. 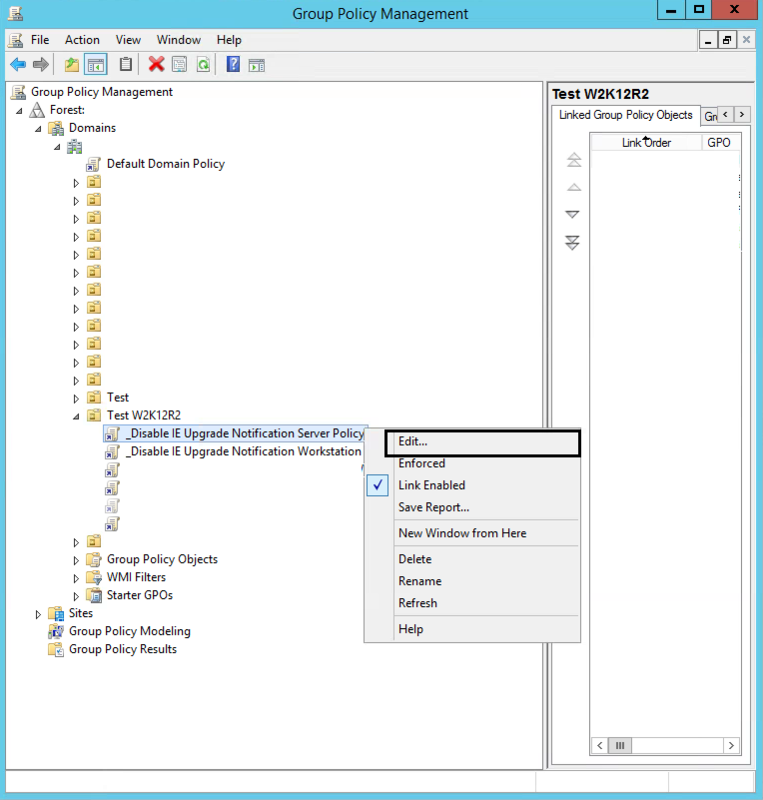 Here’s how you can create a GPO to prevent this issue from occurring in your environment. 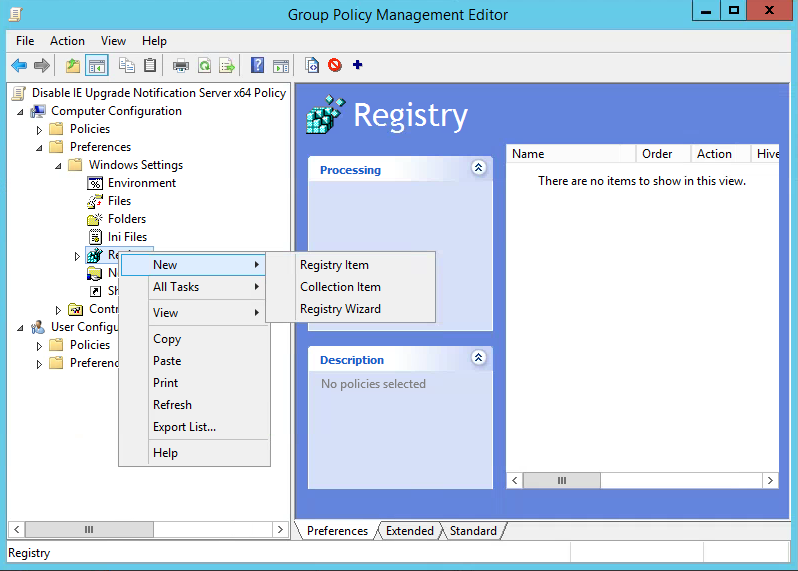 Open Group Policy Management Console. Then scroll down to your test OU, right click on the OU and select “Create a GPO in this domain, and Link it here…”. *Always test your GPOs before linking them to a production OU. Type in a descriptive name for your GPO so other Admins/engineers will have some idea what the purpose is. Click OK when finished. Next, you will right click and select Edit on the new policy. Expand the Computer Configuration > Preference > Windows Settings and Right click Registry and click on New registry Item. 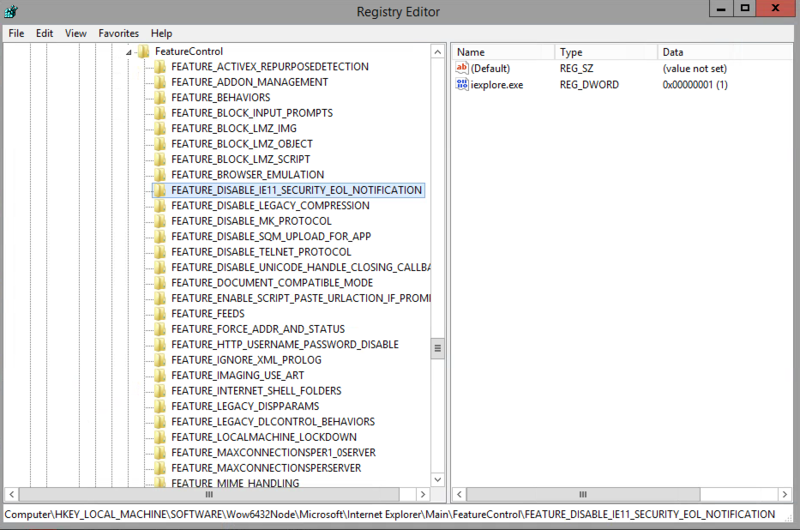 Create two new Registry Items. 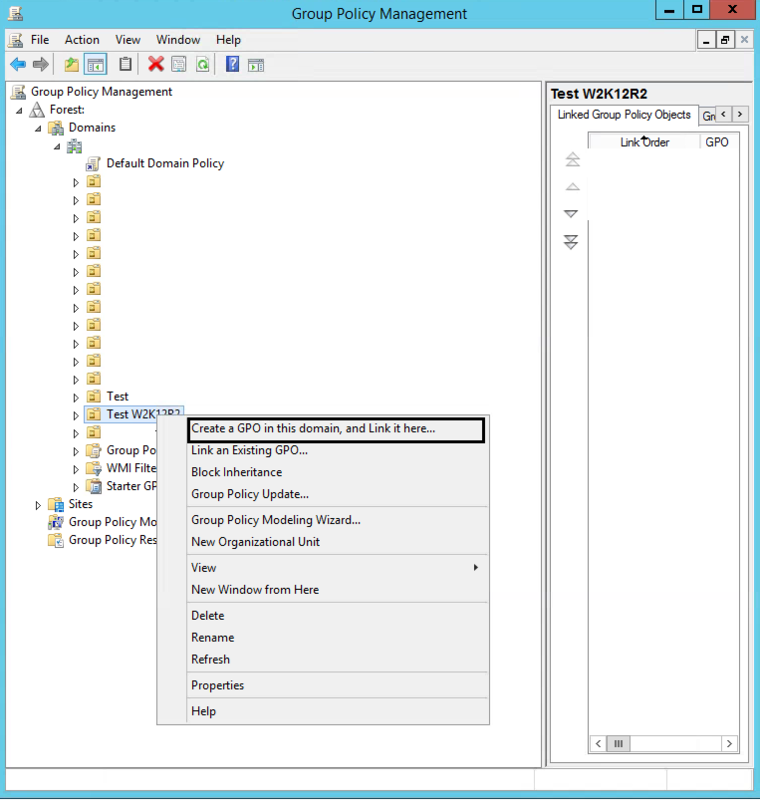 Verify the keys are correct and close the Group Policy Management Editor Console. Next you will need to verify the registry keys were created on your test machines. Restart a test machine that is on your test OU or run GPupdate /force and then check the registry. 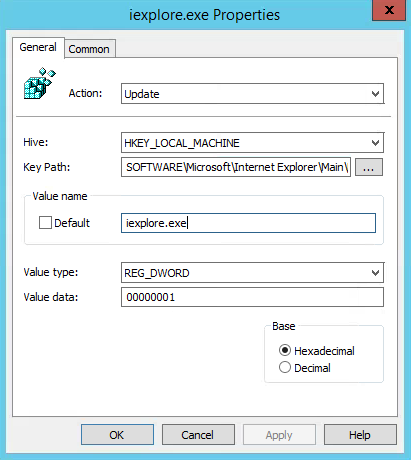 To manually set the registry keys- Instructions from Microsoft.